We now have a concept sketch for the Principe XVIIIc and are taking advance reservations. The sword will retail for $1,300 USD, but is available for advance reservation until June 30th, 2010 for the special price of $1,000. Limited edition of 500 swords worldwide. I'll be looking forward to seeing this one once it is created! Preordered this morning.... Number one in line, hehe!! Any approximation on it's dimensions? I'm interested. And, of course, will there be such an advance order option for Albion Europe customers as well? Thank you for kind words on the Principe. The Principe is based on documentation of an outstanding sword in the Royal Armouries in Leeds, that belong to an important group of weapons that survived in the arsenal of Alexandria. Clive Thomas has done research on these swords and published articles in the Parks Lane Arms Fair catalogues presenting much interesting information. 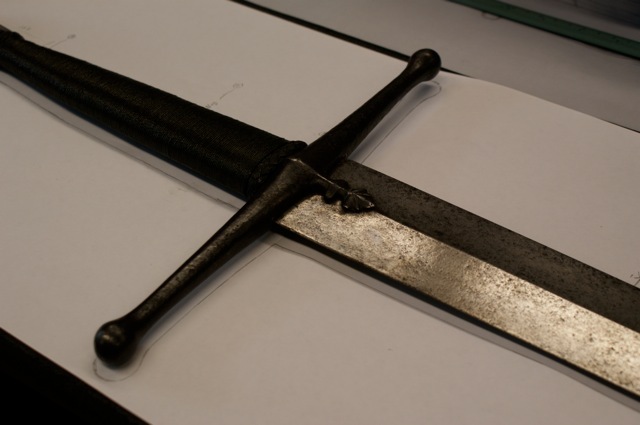 These articles has been of help to me in developing the Principe and Alexandria swords. The original sword kept in the RA in Leeds is a stunning weapon. It was a thrilling experience to spend time with it and learn its dimensions and dynamic properties. These swords are among the finest fighting swords surviving form this time period, I should think. Balance and presence is outstanding. I wanted the Principe to have elements that can be seen in other Italian swords of this time period (first half of the 15th C). 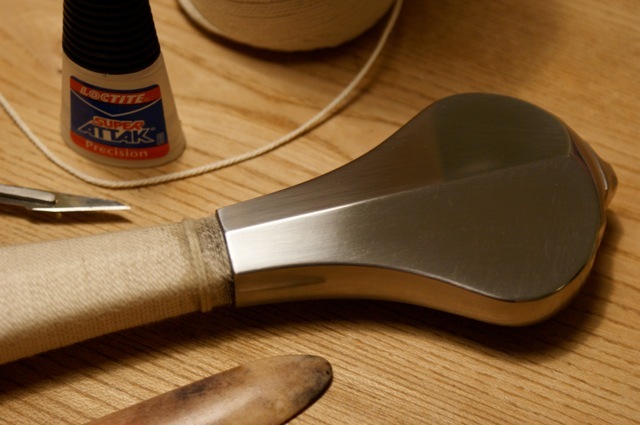 Pommel is of a type that can be seen on Italian swords: a kind of fish tail or slightly flattened and facetted scent stopper type. Swords with very long grips in proportion to the blade are also something we can see in this time period. The guard is inspired by another surviving sword that belongs to the Castillion find. That may seem a strange choice for an italian sword, but there are some Italian features represented in the Castillion group. 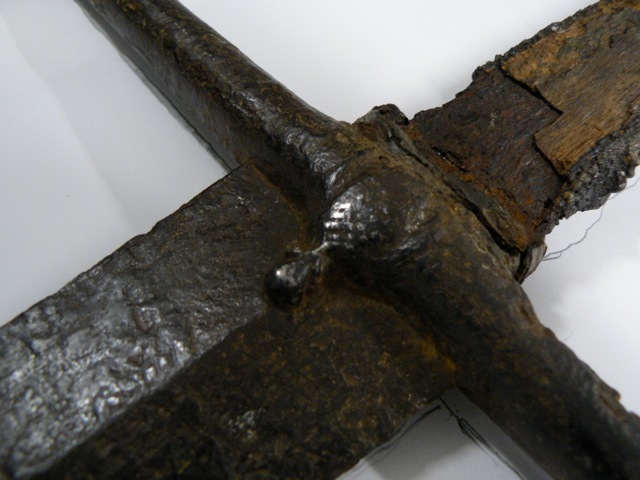 We can see such elements in several high quality swords preserved in museums in different parts of Europe: a guard with club shaped ends and a small decorative acorn or leaf in the middle. Weight is still not completely certain. I will have to work with the prototype blade to make sure the sword will have the same dynamic properties as the original I documented in Leeds. These tend to be rather hefty swords, but they are as agile as they are powerful: quick and responsive despite their large size. I love the proportions of this piece, and I can't wait to see it realized in steel! Excellent job! The pommel in the drawing looks like a Type V2. If so, that's very cool, as this attractive type is almost nonexistant in modern replicas/recreations. It will be very interesting to see both Albion XVIIIc's when the project is complete. Any cance we can get a better picture of the pommel and the guard? The blade look awesome. But personally I am not so sure about the hilt parts (that goes for both variations; the Principe and the Alexandria). Also I am interested in the final size of the swords. The overall lenght of the Principe and the Alexandria are different which I am a little curious about. I mean its the same blade and I think it should be the same lenght, right? Thank you for your hard work to bring so beautyful swords to us. It's all about the grip length. One is for single-handed grip, while the other seems to be hand-and-a-half grip. I would VERY much like to see something like this done with Type XII blade. Marko, I asked Albion about the description of the Alexandria as a single handed sword and they replied it was hand and a half that could be used as a single hander. The Principies handle is even longer, so probably more like that of a longsword such as the Regent. From the dimensions I´d say both are hand-and-a-halfs. But the Alexandria is more only early side, thus shorter. Like the black prince sword. The length of the Alexandria is comparable to the Crecy. The hilt length too. Both Alexandria and Principe are long gripped swords: they are long sword type swords. Both share the same blade, but have different tang lengths. Hilt components for the Alexandria is very much like the majority of the swords from this group of swords from the arsenal in Alexandria. The Alexandria will have a grip length of some 17.5 cm (about 7"). That is a good hand and half length. It may look shorter in the sketch since the blade is unusually broad. 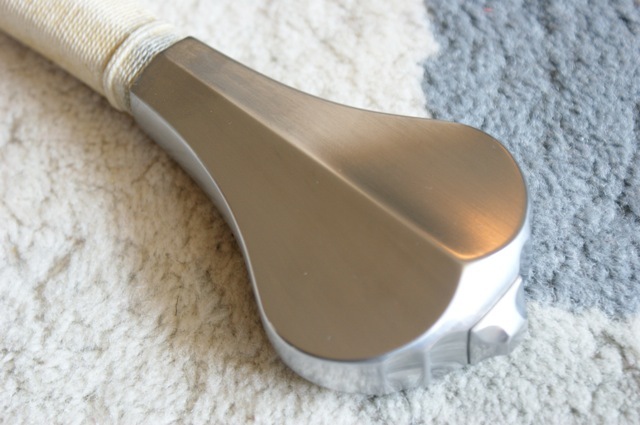 The pommel will be about 6 cm wide ( 2.4"). If you have strong wrists you can probably swing this sword with one hand, but it is large and pretty hefty even if the balance is lively, so it will perform best with two handed use (much like most other hand and half swords). The Principe is basically a two hander, if nothing else because its long grip: about 21 cm (8.3"). The blade is pretty short compared to those very large two handed swords, but it belongs to this class of compact and powerful sword of war with long grips and moderately long blades. You may be able to use it single handed if need be (from the saddle? ), but it will invite two hands for "natural" use. Marko, I hear what you say about offering a smaller type XIIa blade that could be mounted as a long single hander as well. It is something I´d like to do for the NG line: a shorter hand and half sized XIIa. A smaller cousin to the Baron. Christian, showing greater detail in concept sketches is a dilemma. If I draw larger images that goes more into detail I am bound to make waiting customers disappointed. These are concept sketches. They are intended to show preliminary ideas for the design. There will probably be some adjustments when I start working in full scale and 3d. Usually this does not involve dramatic changes, but some variation is inevitable. With the concept sketch I show proportions and type of components. I attach below some photos of similar hilt parts. Perhaps these will give you an idea of what I intend for the Principe. The pommel is from a sword I made for Solingen last year that is of the same type I intend to make for the Principe. One of the guards is form a sword in the Castillion group and the other is a rather famous two hander from the Wallace Collection. Both these guards will inpact the design of the guard for the Principe. The components for the Principe will not look exactly like these, but will be of the same type. The pommel will be more voluminous (more round instead of flat) and probably have more deeply hollowed front faces. Final shape and proportion of the pommel is decided as I establish the balance of the sword. The guard will be a combination of the two original guards. Both Alexandria and Principe are long gripped swords: they are long sword type swords. Both share the same blade, but have different tang lengths. [ . . . ] It may look shorter in the sketch since the blade is unusually broad. The pommel will be about 6 cm wide ( 2.4"). Indeed, I only looked at the shape and dimensions of the sketch and didn't think of the blade width when I thought that one of them was a single-hander. Excellent, precisely what I have been looking forward to! When can I pre-order? Albion's Facebook page states that the pre-order special price is available through June 30th. I particularly like the simple but elegant guard design with the ornament that extends down over the beginning of the blade. It gives this design some character and individuality. One of the photos looks like a leaf or shell, the other reminds me more of a pineapple or acorn type shape. I don't recall seeing very many similar guard examples in typologies or the few reference texts that I own. No! Get both!! I can't wait to see the Maximillian, I have that on preorder for a while now... I wonder when the Maximillian will be released?